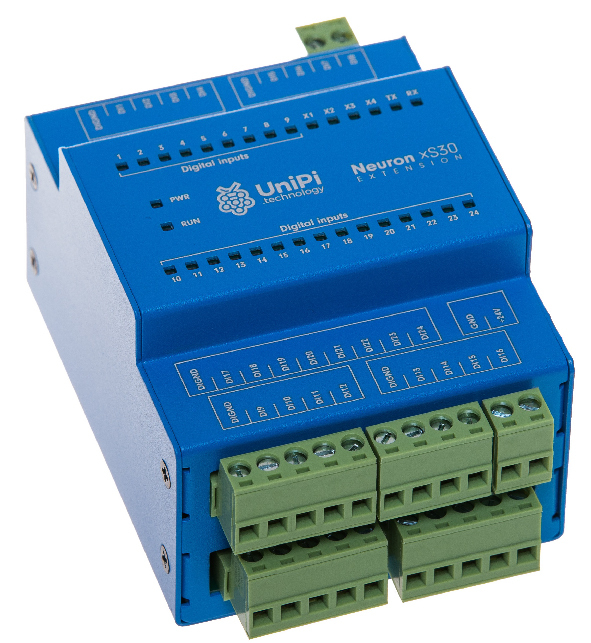 The UniPi Extension modules are based on the basic Neuron S103 unit, the Raspberry Pi computer is however replaced by an additional I/O group. 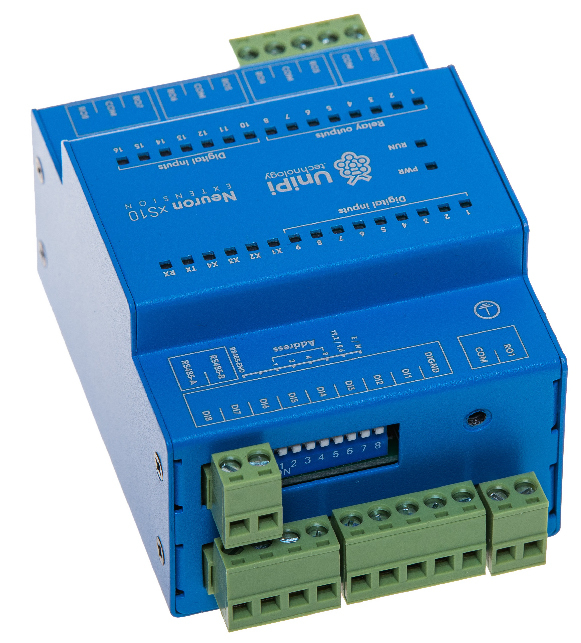 The xS line is designed as a simple and cheap method of automation systems expansion by adding more I/Os without the need to purchase new controllers. 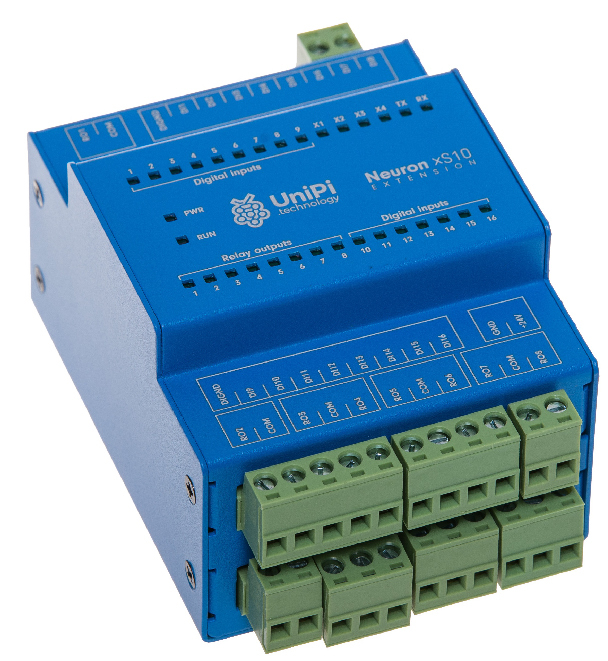 Extension modules are communicating with the PLC over the RS485 serial line and albeit they are designed primarily for the use with Neuron controllers, they can be used in combination with any PLC supporting the RS485 serial line and Modbus protocol. That makes the xS-line an excellent choice for cases where other PLC manufacturers either do not offer their own native extension, or their purchase would be cost-ineffective. The xS10 extension module's architecture was designed for a higher number of digital inputs complemented by a set of relay outputs. The xS30 extension module's architecture is focused solely on a high number of digital outputs, allowing the user to extend his automation network with 24 digital inputs. 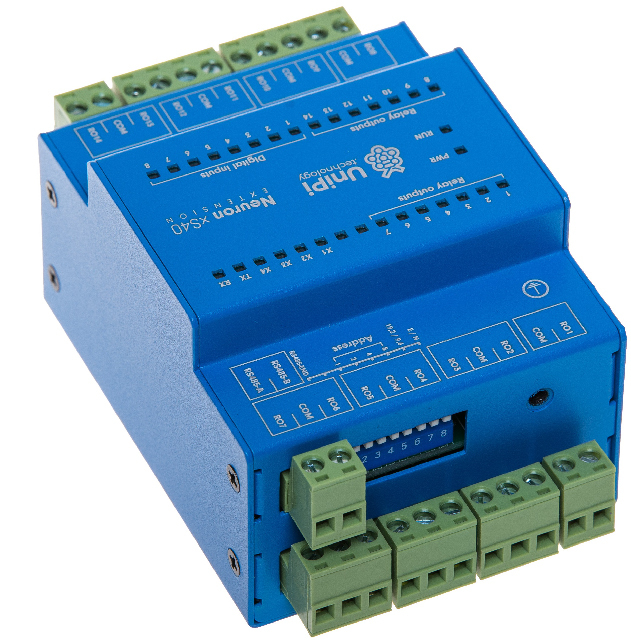 The xS40, being similar to the xS10 module, brings a combination of digital inputs and relay outputs. Compared to the xS10, the xS40 offers an increased number of relays at the expense of digital inputs. 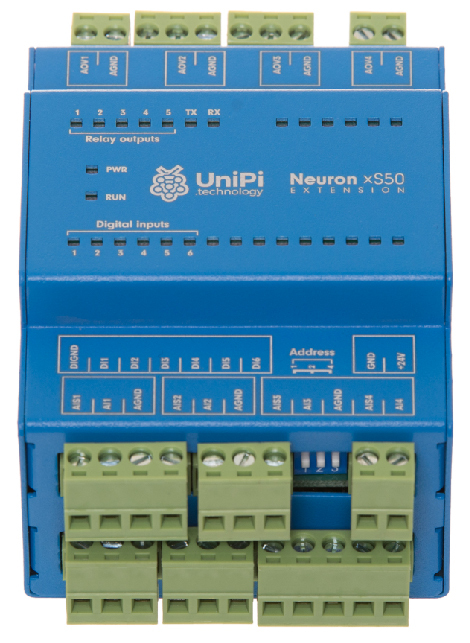 The xS50 module was designed with universal architecture in mind. It offers a balanced combination of analog I/Os, relay outputs and digital inputs.